Initially known for her leadership of Norway's Progress Party, Jensen went on to represent Oslo in the Norwegian parliament and to serve as her country's Minister of Finance. One year after earning a degree from the Norwegian School of Economics, she ran an unsuccessful first campaign for a seat in Norway's Storting (parliament). Her economic views often mirrored those of former British Prime Minister Margaret Thatcher; in fact, Norwegian newspapers frequently referred to Jensen as "Norway's Thatcher." She was raised in Oslo, Norway, by shoe store owners Monica Kjelsberg and Tore Jensen. She grew up with a younger sister and brother, as well as three half-siblings. She and Conservative Party politician Erna Solberg both ran for Prime Minister of Norway. 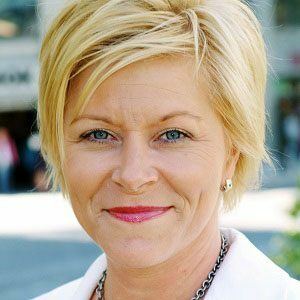 Jensen lost the 2009 election; four years later, Solberg became the country's first female Prime Minister.